Our excellent second photographic exhibition will be launched this Sunday, 26th November, 1pm at the Temple, Wanstead Park. All members are invited to come along and enjoy these lovely and interesting photos as well as a social get-together. 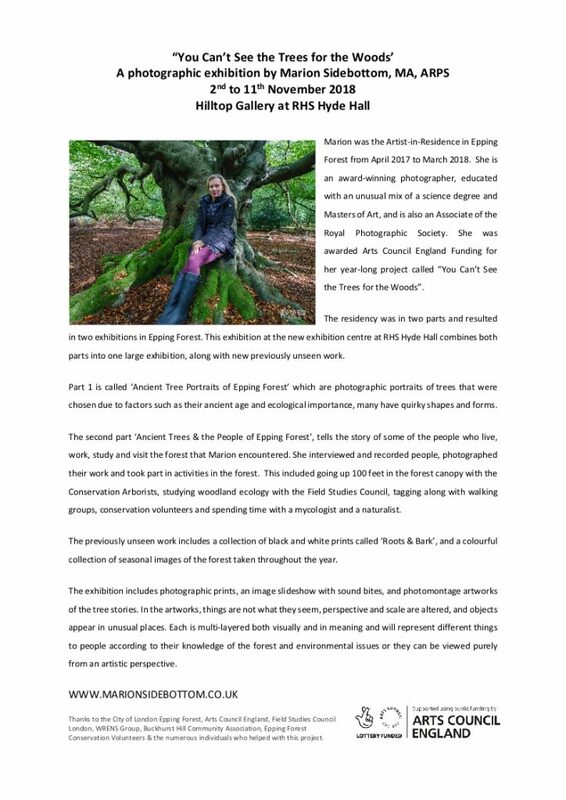 We are lucky to welcome a special guest, Marian Sidebottom, who is the Artist in Residence at Epping Forest. She is keen to meet you all and to tell you a little about her work. The Launch will preceded by a short walk led by Tim Harris. Meet at 12pm at the Temple.